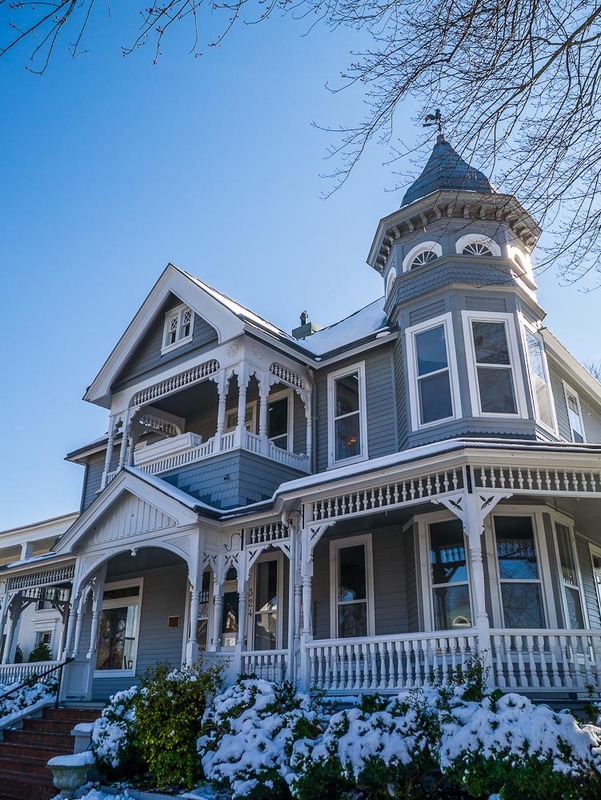 This old Victorian-style “Gingerbread” house is now home to a real estate firm in Martinsville, Virginia where I live. I wanted to make a photo of it while there was still some snow on the bushes out front. I’m glad I did that when I did, because by the time I got home, most of the snow had melted. If you have never used a wide angle focal length such as here, you will not understand why the house “leans” a bit. It’s all about the lens design, such that you get as much in the frame as possible. So much for my photo technology teachings.